We teach classes at our store and would love having you come to our place! But for those of you that can't make it or that live too far away, here's the written version of our PMG class! By training Missionaries for over 3 decades we have found what we like to call the "Keys to Success"
These "Keys" open doors, allow you to know who's behind each door, and can give you OVER 1,000 people to teach in EVERY area you serve from DAY ONE! Our desire is to share these keys, so you can make them a part of your own personality BEFORE you go into the mission field. 1. Things you should memorize before you get to the mission field. 2. Sections 1, 2, and 3 where we will go over the chapter in Preach My Gospel in a slightly different order. THINGS YOU SHOULD MEMORIZE BEFORE THE MISSION FIELD. 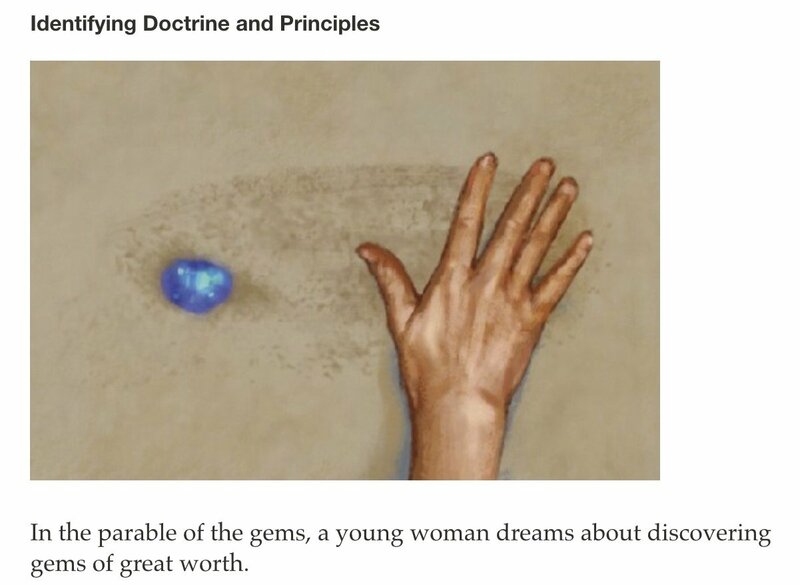 b) Seminary 9 Core Doctrines. c) "The Living Christ" and "Proclamation of the Family" (front and back of Seminary 9 Core Doctrines). d) You should be able to at least paraphrase the Introduction section of the Book of Mormon. Note: Remember that as a Missionary you will be looked at your skills as a "Finder", "Teacher" or "Baptizer". DO NOT get discouraged if you're always being transferred when you build up a group of people to teach. You are the one that can plant and nourish the plants as Christ taught in the vineyard parables. 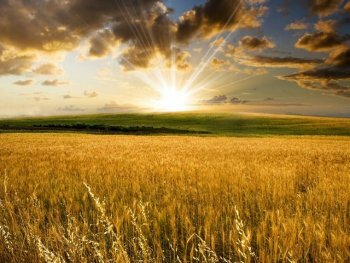 See the areas of the wheat field, some are ready to harvest, some still need growth, and some are being planted. Read this chapter first, then read chapter 1 (at the end of chapter 2), and then go through the other chapters (I know, it's confusing, but I promise it will help). In this chapter you will learn marking scripture techniques and why you will need NEW separate scriptures. Preach My Gospel Chapters 1­- 5 never read YOUR scriptures in the mission field (see John 5:39 where Christ teaches this!). Before you begin studying these lessons, the first thing you need is NEW SCRIPTURES, yes, NEW individual SCRIPTURES (the stick of Judah and the stick of Joseph,­ see Ezekiel 37) in both, your native language and your second language, if you are foreign speaking. These will now become your investigators' scriptures. 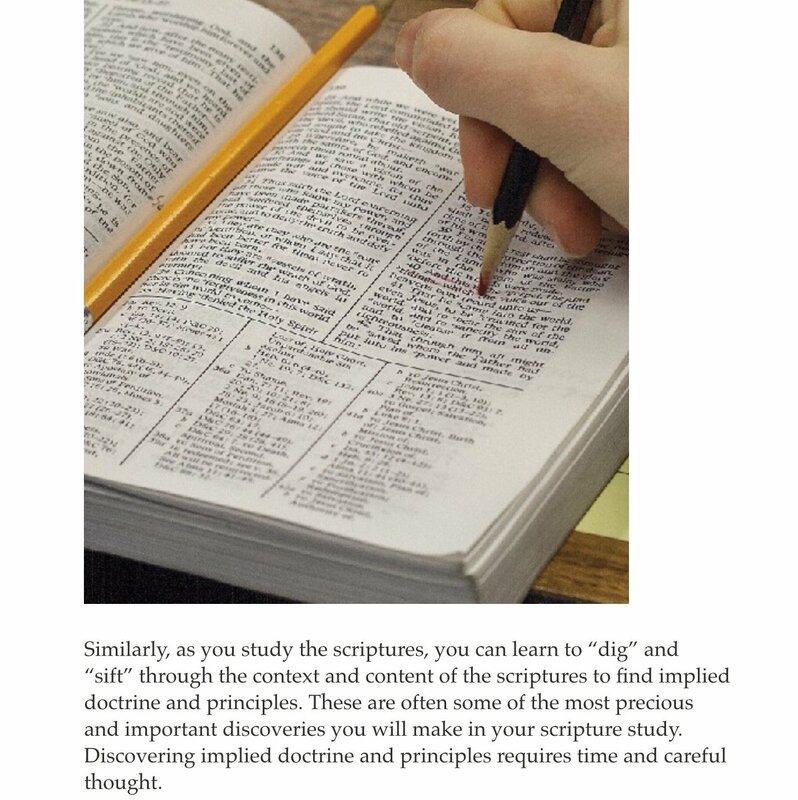 We will STUDY and mark our scriptures in a way that, our investigators AND members, will be able to understand when we give our scriptures to them to read. Example James 1:5­ "If any of you lack wisdom, let him ask of God, that giveth to all men liberally, and upbraideth not; and it shall be given him. 6 But let him ask in faith, nothing wavering..."
You can shade the scriptures, but also remember to underline the key words. (Notice: "lack wisdom" and " ask of God", are underlined) the investigator now knows what to respond when you ask him about this scripture. And he now not only understands, but his confidence and his enjoyment of the scriptures has gone up considerably. 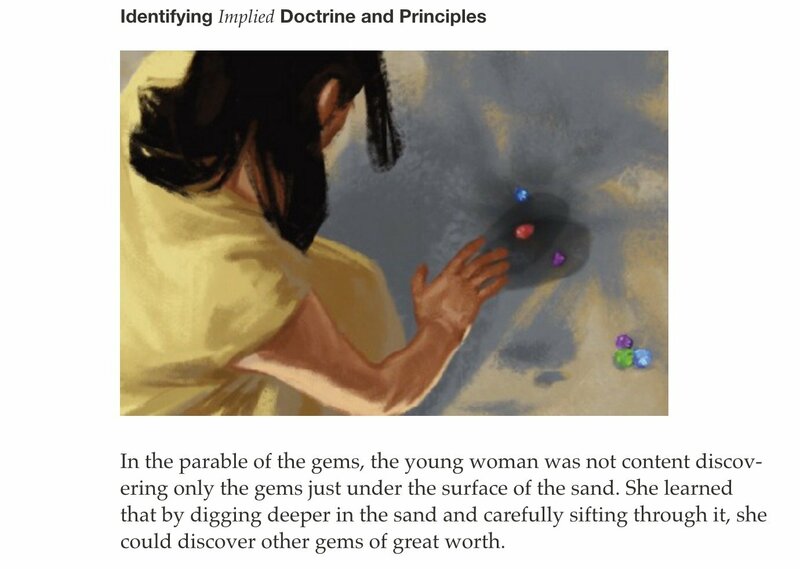 In the parable of the gems, the young woman seeks to discover valuable gems. As she searches, she finds some close to the surface and others deeper in the sand. Similarly, you will find that some doctrine and principles are stated overtly in the scriptures and are easily identified. Others are not stated directly in the scriptures, but instead are implied. These require more effort to discover. • Start with a package of 100 3x5 cards. • Use one card per week and write the date of the week. Now EVERY day of your mission using bullet point description, write down as many story titles as you have per day that correlate to an event. (May be funny, spiritual, or just means something to you.) By the end of the week you may have 20 to 30 stories. • On Preparation Day (P day) Elders choose your 5 favorite stories and write them to your family, (Sisters choose your 7 favorite stories and write them to your family,) using the bullet points as the subject line. • NOW,­ with your waterproof camera that you have, practiced taking pictures with it at a 3 megapixel size (Remember to practice this... See ILC TravelOutfitters, MissionaryStores.com Missionary List) add your favorite 7 pictures from the week (One a day is all you need). • With your NEW email HOME account (example... Elder OR Sister "Your Name" @ Gmail... etc.com) Duplicate the same email from above to this account. NOW you have duplicates of your stories and your pictures. • At the end of your mission Sisters and Elders will have 500 to 700 stories. Sisters will have 500 plus pictures, Elders over 700 pictures. Chapter 4- How do I Recognize the spirit? 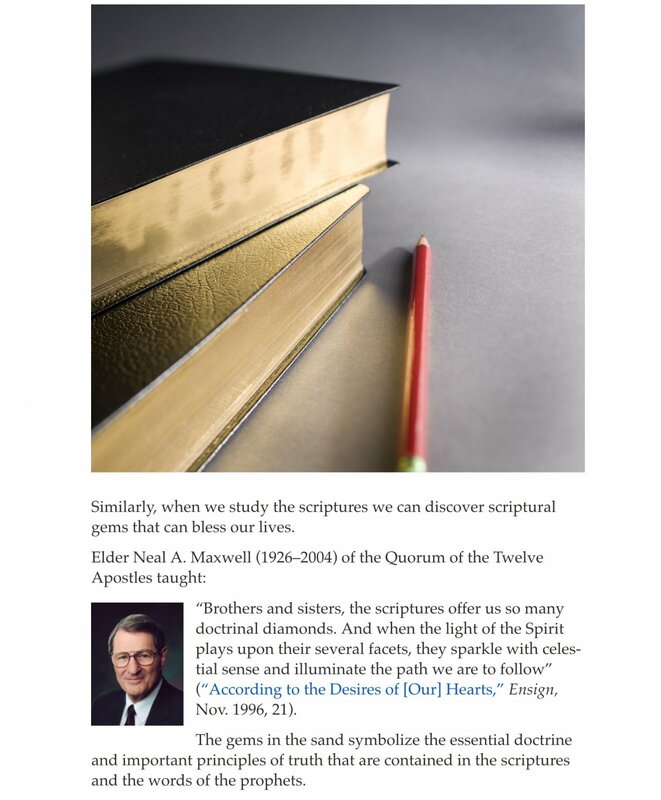 Spiritual journal understanding (1Nephi Chapters 1-14) Learn from a Master! Immediately begin this process upon receiving your call, but if you receive this before your mission call, it begins TODAY! Here are the steps to follow: There are 9 attributes of Christ that are taught. Before your mission, live with each attribute for a week. Print it out and place it on your mirror in your bathroom. Read it first thing in the morning, study each and every scripture from that attribute also in the morning, and then act with this attribute throughout the day. At noon time read through the attribute once more. At suppertime read it once more. Now before retiring for bed read the attribute AND the scriptures, BUT at this time read it all out loud. This will allow the words to work within you throughout the night allowing your Heavenly Father to teach you as he does. Once­ on your Mission live with each attribute for thirty days, following the same pattern as before your mission, BUT this time use the attribute with an added concentration on your companion. Hint: From "Preach My Gospel" (PMG) Mark the scriptures from there to English Scriptures as trained above, then open your NEW language scriptures and "Mark" them the same as your English ones. Use google to help (before to leave) and Mark and tag your your LDS tools electronically so you have them for your future use also. Remember with Members- #1 What is their calling #2- What is their responsibility? These chapters are the hidden keys to success beyond your wildest dreams. The majority of missionaries skip quickly over these chapters and NEVER learn the wisdom found with in. Today, IF, you're ready you will find the true Joy of missionary success. Success is the continuous journey toward worthwhile goals. Chapter 8- How do I use my time wisely? What do you do 1st day in the Mission field? IN ALL AREAS THE FIRST THING YOU ASK FOR IS A PRINTED WARD LIST!! On this list we need the Priesthood held and Birth-dates of ALL members. IF you don't have this, your first visit is with the Ward Clerk OR Executive Secretary. With this list, be prepared to write (Use post it notes if needed) and go through everyone. What are we looking for? Example... We see a man Age 40 with priesthood of "P"­ this means a priest. He has a wife, 16 year old son, 14 year old daughter and 8 year old daughter. Pay attention to Birthdays that are in the next 6 weeks. (You will visit ALL homes that have birthdays and drop off a pass along card that you write "Happy Birthday from the Missionaries", be sure to bless family in prayer by using the power "As an ordained minister of Jesus Christ.). What we have learned from our list is that we have a 40 year old that is either Less Active OR a New convert. Chapter 9-­ How do I find people to teach? Now we Visit our next THREE key people in the ward that will teach us more about ALL members. First­ Relief Society President- ­​She is over Visiting Teaching and Welfare needs. We ask her 4 questions about ALL persons on our list. Remember many families can have one OR two parents less active and kids can still be active. The "5" Questions: 1)­ Do they hold a church calling? If Yes, what is it? 2)­ What is the professional job? 3)­ What are their top 3 hobbies? 4­) Are they active, less active, or in-­active in coming to church? This last question needs direction from you. We calculate this over a 4 week time period. If they come to church 3 out of 4 weeks they're active. 2 out of 4 weeks less ­active, and 1 out of 4 weeks in­-active. At this time, find out who isn't being visit taught and Sister missionaries go and teach them. Second­ Elders Quorum President/High Priest Group Leader combo­​- They are over Home Teaching and EVERY members home in the ward. Widowed and Single sisters Everyone! The "5" Questions: 1)­ Do they hold a church calling? If Yes, what is it? 2)­ What is the professional job? 3)­ What are their top 3 hobbies? 4)­ Are they active, less active, or in-­active in coming to church? This last question needs direction from you. We calculate this over a 4 week time period. If they come to church 3 out of 4 weeks they're active. 2 out of 4 weeks less­ active, and 1 out of 4 weeks in­-active. 5) What is the living situation of the heads of the household? (Married, Single, Divorce, CoHabitation?). At this time, find out who isn't being Home Taught and Elders go teach them. Third­ Ward Mission Leader- ­​He is over EVERY household in the Ward boundaries. The Bishop bestows the keys of blessing everyone within the Ward boundaries including the members and non-­members! 1)­ Do they hold a church calling? If Yes, what is it? 2­) What is the professional job? 3­) What are their top 3 hobbies? 4­) Are they active, less active, or in-­active in coming to church? This last question needs direction from you. We calculate this over a 4 week time period. If they come to church 3 out of 4 weeks they're active. 2 out of 4 weeks less­ active, and 1 out of 4 weeks in­-active. He will add to your list those that are being taught that are not of our faith, Teach them. At this time you will find that the average ward has between 1000 and 1500 members within its boundaries. Chapter 10-­ How Can I improve my teaching skills? Chapter 11-­ How do I help people make and keep Commitments? Back to our Example... (We will call them the "Jones") We see a man Age 40 with priesthood of "P"­ this means a priest. He has a wife, 16 year old son, 14 year old daughter and 8 year old daughter. As we enter this home we begin by talking with the family about their lives. (Remember we have knowledge that we can use to guide us in these conversations). Ask probing questions that find out who their friends are at work and in their hobbies. NOW the companion who is less involved in the conversation is to be writing down ALL these friends names! (You are receiving referrals without asking for them). Now as you transition into the lesson, lets share the story of Alma the Younger and the Sons of Mosiah. (See Mosiah Chapter 27, Conversion story. Alma Chapters 1-­16 Alma's Stories. Alma Chapters 17­-27 Sons of Mosiah Missionary work.) They asked their members to "pray" for their success among the Lamanites. We need the same help. Chapter 12-­ How do I prepare people for Baptism and Confirmation? If you can attend each of these ward & stake meetings “3” times before you enter the field, you will feel a confidence of understanding of (A) Ward and (B) Stake functions. 3 pictures of their parents OR grandparents and 2 stories typed or hand written. stories. If digitized already go to step 3. 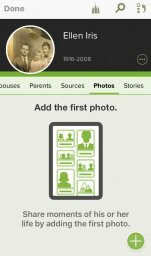 3- Now lets upload the pictures and stories into Family Search. A- Open person you will attach picture or story to. and hit the "+" and upload. Easy isn't it? C- Now keep your log in information with you on your mission to use as a FANTASTIC teaching aid! 2- 9 Basic Doctrines- This is what you will use when called upon to teach in church on Sunday's when asked to cover for teachers. Be prepared and memorize the Basic Doctrines headers. 3- The Family, A Proclamation to the World- Given by President Hinckley in September 1995 in Women's Conference- This is Modern revelation for OUR Families! Memorize it... Trust us! Elder M. Russell Ballard explains the importance of this 20 years later! Primary - Memorize "13 Articles of Faith"
10. Learn how to set up a "Family Search" account for ANYONE!